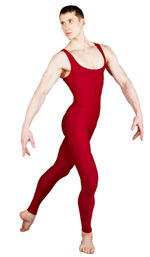 Leotards in Lycra fabrics for men - Supplex, nylon Lycra, cotton Lycra and mesh Lycra. 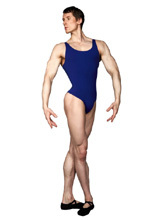 Dancewear for men - Lycra unitards with and without feet. Dancewear for men - Lycra unishorts - please call or email for different leg lengths. Lycra dancewear for men - jackets, T-shirts, sleevless t-shirts,vests, dance shorts. Cassian jacket, Mario vest, Samsara dance top. Lycra dance shorts for men - please call or email for different leg lengths. Jazz Pants for Men - dance wear in a choice of Lycra fabrics, colours and styles. Also leotards with built in dance belt. Dancewear for men - tutus made especially for men - please call for different styles or specific requests. Items can be shipped under plain cover.